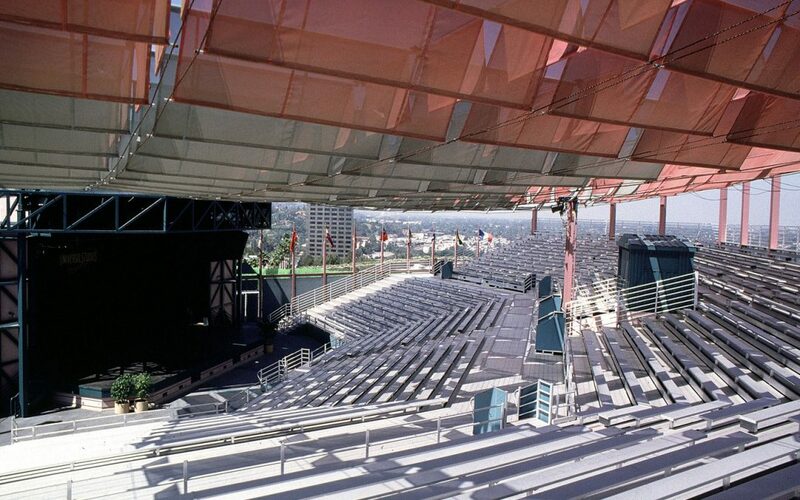 This 2,500 seat amphitheater has a unique structural system designed of steel so it can be relocated off the top deck of a 7-story terraced parking structure when its programmed use is complete. 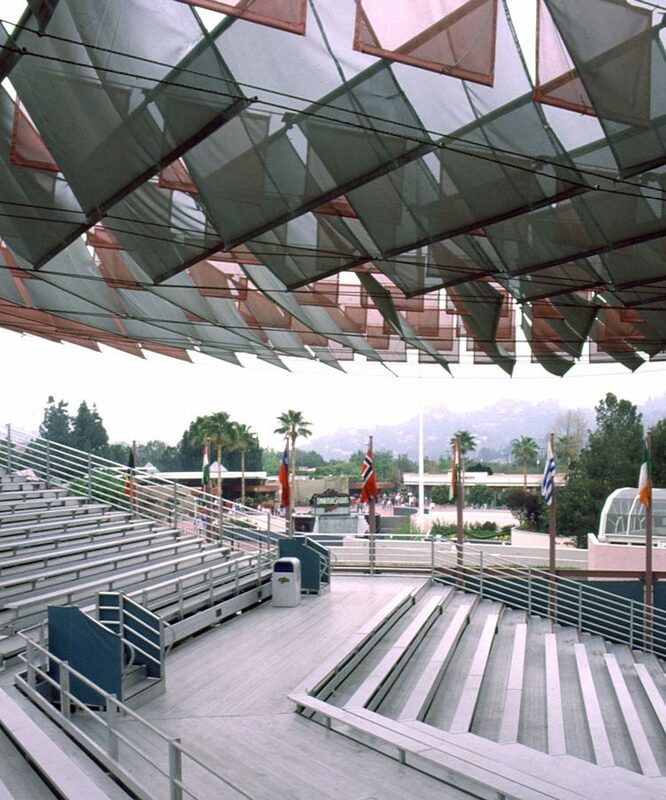 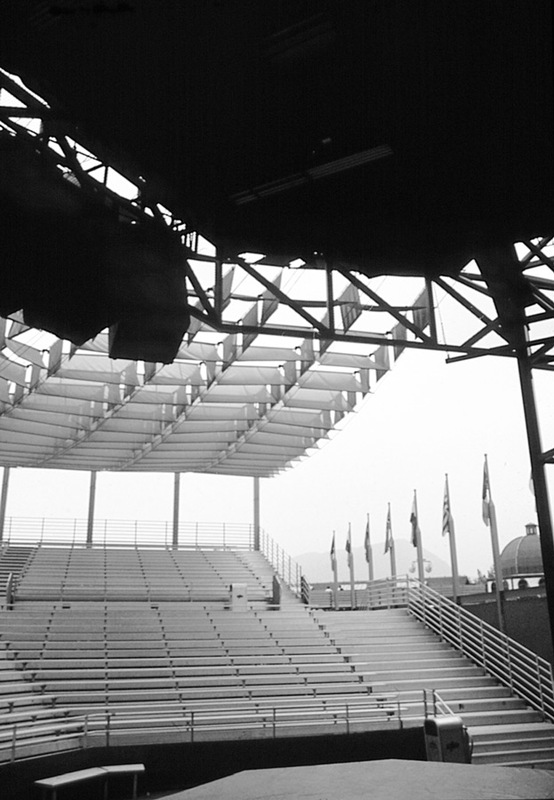 The unique motorized louvered structure allows moderate winds loads to pass through while still providing shade to the audience. 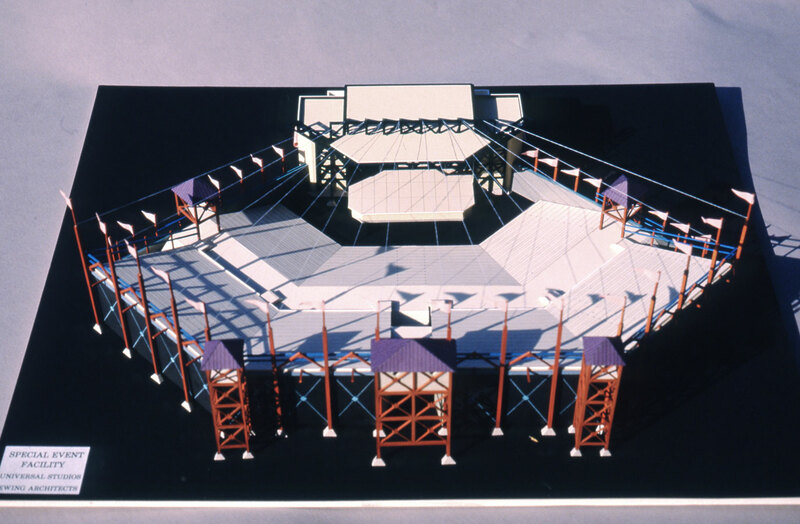 Significance: A successful attempt at re-using “short term programmed” modular designed structures to be re-erected at another location for reuse. This sustainable practice caught on at Universal.